Julianne Richards: "The Colorspeaker": before the "Inferno"
This is a small version of the painting "inferno." 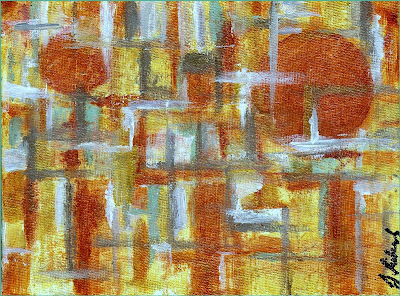 In fact, it is only a 6"x8" canvas-Same medium were used-Acrylic with a UV Gloss varnish. Only 65.00 dollars. Simply email me if interested.